Aviation industry has been growing steadily over time, just like other industries, and it is expected to continue evolving in the future. Numerous changes have occurred to airports, airlines and aircrafts in the industry since the mid 20th century. Some of the changes have been facilitated by challenges and incidences that have occurred in the past (Fitzgerald, 2010). For instance, challenges such as the Tenerife air disaster facilitated a significant change in the designs of aircrafts, management of aircrafts and airlines and designs and management of airports. The number of air passengers has been rising constantly, leading to the emergence of new airlines, development of new airports and increase in the number of aircrafts (Fitzgerald, 2010). Globalization has connected the world in a way that has enabled airlines to operate in many countries and regions instead of focusing on a few countries of regions. Technological advancement has enabled airlines to improve customer services and enhance customer experience. Today, for instance, customers can access the services of major airlines through online websites and make travel bookings (Fitzgerald, 2010). Improvement in the designs of aircrafts has enhanced the safety of air travel. 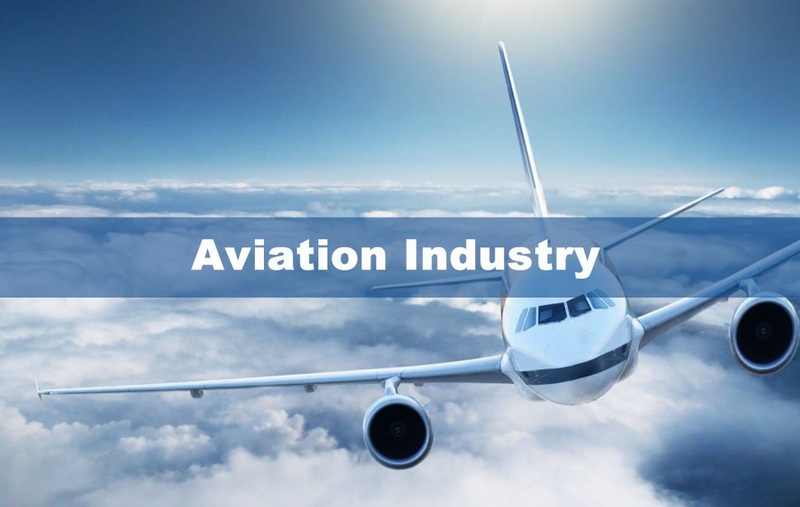 Despite that the numerous changes have led to significant improvement in the operations and services of the aviation industry, organizations operating in the industry today deal with numerous issues and challenges. In this regard, this paper explores the challenges, problems and contemporary issues faced in the aviation industry. The list of the issues and challenges faced by firms operating in the aviation industry is endless. However, there are major issues and challenges that the firms in the industry face during the 21st century. The challenges and issues addressed in this paper are security and safety, overcapacity, the fuel factor, sustainability issues and challenges associated with advancement of technology. Enhancing security of air travel has been a major challenge to airlines and airports for a long time, and it is still a major issue of concern today. Terrorism is the main security threat in the aviation industry. For a long time, terrorists have been targeting airplanes and airports as their targets of terror attacks. The fundamental cause of the Tenerife air disaster that occurred in 1977, which is one of the biggest air disasters in the aviation industry history, was terrorism. The disaster caused the deaths of 513 people (Fitzgerald, 2010). The attack of the US by the Al Qaeda terrorist group in September 11, 2001, is one of the most remarkable issues that have been faced by the aviation industry recently. The Al Qaeda group hijacked airplanes and used them to attack the US. The September 11 attack led the aviation industry in the US and other countries to come up with numerous security measures and regulations in order to reduce chances of the occurrence of terrorist attacks. For instance, surveillance systems were put in place in airports that are meant to detect bombs, guns, grenades and other things that can be used by terrorists (Azani, Lvovsky & Haberfeld, 2016).). Despite this, the aviation industry is still a target of the terrorist attacks, as evidenced by the attacks that have occurred in the industry recently. A good example is the attack on passengers in a queue at Brussels Airport by two suicide bombers that occurred on March 22, 2016. The attack led to the death of 32 people (Azani et al., 2016). In October 2015, A Russian airplane was bombed by terrorists on its way to Saint Petersburg from Sinai Peninsula. All the 224 passengers that were onboard died. More recently, on June 8, 2016, three terrorists shot at passengers in a departure hall at Ataturk International Airport in Turkey (Azani et al., 2016). The attack led to the death of more than 40 people. More than150 people sustained injuries. In this regard, maintaining security of air travel is still a major challenge for the global aviation industry. Although air travel is the safest mode of transport today, accidents still occur. In 2013, for instance, there were 16 fatal accidents involving aircrafts (Azani et al., 2016). Safety in air travel is also affected by issues acts of governments, such as in the case of two Malaysian Airlines that were shot down when flying in the safest zones. As such, there is still a need to establish ways of enhancing the safety of air travel, in addition to establishing approaches of enhancing the safety. Overcapacity is a major issue affecting airlines and airports currently. The issue has mainly been affecting airports. An increase in the demand of air travel services recently has prompted airlines to purchase more airplanes in order to effectively accommodate the customers. The number of airplanes has been increasing to the extent that airports are unable to accommodate all of them. This has led to inconveniences that are prompting for expansion of airports. In most cases, the expansion processes involve significant disruptions on passengers and other stakeholders of the airports. A good example is the recent expansion of Heathrow Airport in the UK. Prior to 2004, the UK faced the challenge of lack of enough airport capacity needed to accommodate both local and international flights. One of the solutions proposed to the problem was to enhance the capacity of Heathrow airport, which is located in London (Project Management Institute, 2013). Heathrow Airport was perceived as the best option that would deliver more travel options, business opportunities, exports and jobs. One of the factors that were considered before making the decision is that the airport is located close to headquarters of more than 120 large companies (Project Management Institute, 2013). The problem that needed to be solved at the airport was to expand the capacity of Heathrow Airport in order to accommodate more international flights. In order to enhance the capacity of the airport, a decision was made in 2004 to expand Terminal 1 (Project Management Institute, 2013). Prior to expanding Terminal 1, it was only accommodating local flights. A decision was made to expand the terminal so that it could accommodate Star Alliance Airlines, which engaged in international flights (Project Management Institute, 2013). The role of expanding Terminal 1 was given to BAA Airports Ltd. in 2004. More airports have been making expansions recently to accommodate the increasing number of flights. For instance, Metropolitan Airports Commission (MAC) started a multi-phased project in October 2016 that is meant to expand the capacity of Minneapolis-St. Paul International Airport and the quality of its services (MAC, 2016). Airports in which capacity problems are being faced and they are not yet expanded cause issues such as delays and loss of customers. The increase in the demand of air travel services has also been affecting airlines. Some airlines, such as TWA, have been compelled to cease their operations due to the inability to accommodate the number of customers seeking for their services. In order to compensate for issues caused by overcapacity such as delays, some of the airlines have been offering their services at lower prices than competitors, and this has been having an adverse impact on their revenues (Coza, 2014). The internet technology has significantly evolved over the last two decades, hence paving way for business organizations to engage customers and even carry out business activities online with them. Today, consumers have easy access to technological devices, such as computers, tablets and mobile phones, which allow them to assess information about business organizations on websites. Also, many people are using such devices to engage in social networks through social media sites such as FaceBook and Twitter. Innovative airlines have been exploiting the opportunities provided by the internet technology to engage, communicate and sell their services to customers through their websites and forums and accounts opened in the social media sites. Conducting business online with the customers involves a lot of convenience and thus, the airlines that utilize the opportunity have an enhanced ability to attract and retain customers. In order to withstand the increasing rate of competition in the aviation industry, airlines are compelled to catch up through engaging in the online business. A good example of an airline that has been operating online is Fly Emirates (Fly Emirates, 2013). Fly Emirates has a website through which it displays its services and prices to customers. The website is integrated with a system that allows the customers to make online bookings. The customers do not have to wait in queues to pay for the air travel services. Instead, they can pay online and wait for their time of flight. The customers are given answers and clarifications to any of their questions through the website (Fly Emirates, 2013). The main issue with the use of the internet is that the airlines have to deal with challenges involved in operating the online websites and other internet sites. When purchasing the services of the airlines through the online website, the customers provide personal and business details. The airlines also integrate some of their business details with the details of customers online. The details can be accessed by online hackers if they are not well protected. Hackers develop software that enables them to break the online securities provided to the details of the customers (Brenner, 2012). Some of the hackers use phishing method to access information of the users of the online services of airlines. When the hackers access the personal and business details of the customers, they can access the business accounts of those customers and divert or withdraw funds. The information can be misused by the hackers in many other ways, including blackmail and defamation (Brenner, 2012). In case such issues occur, an airline can significantly lose its reputation and customers. The main problem is that ensuring that the personal and business details of the customers provided online are completely secure is very difficult, although it is possible. The airlines therefore are experiencing the challenge of ensuring that the details of the customers are completely safe (Brenner, 2012). Firms in the aviation industry are required by stakeholders such as the surrounding communities, shareholders, activists and government agencies to embrace principles of sustainability. Precisely, airlines, just like other organizations, are expected to uphold corporate social responsibility principles. The sustainability principles are grouped into three main categories, namely the social, environmental and economic sustainability principles (Coza, 2014). The environmental sustainability principles are of most significance to firms in the aviation industry. In order to adhere to the environmental sustainability principles, firms are required to adopt strategies of reducing their negative impacts on the natural environment and/or to adopt practices that have positive impacts on the natural environment. Aircrafts currently use fossil fuel as their source of energy (Coza, 2014). Consequently, they release a lot of carbon emissions. Although biofuel is available for use, which does not lead to significant air pollution, it is very expensive. Airlines find it difficult to use the biofuels since they might make loses instead of profits. At the same time, the pressure from stakeholders to reduce carbon footprint is still increasing. As such, airlines are in a dilemma about how best to show their corporate social responsibility through reducing their carbon footprint. Probably in the future, the alternative sources of energy will be cheaper (Coza, 2014). Although adopting economic and social sustainability principles is a difficult task for the airlines, there are also some issues that are involved. In all firms today, shareholders and are very keen to determine whether or not their investments are managed well in a way that will enable them to derive returns. The challenge emerges from the fact that the emergence of airlines that charge low prices, such as EasyJet, has been affecting the economic performance of other airlines (Coza, 2014). Other stakeholders are concerned about the extent to which firms adhere to ethical standards. For instance, failure to adhere to ethical standards through using improper language on customers or through mistreating the employees can make an airline lose reputation and customers. As such, airlines are compelled to give consideration to such issues always (Coza, 2014). The price of jet fuel is a major concern to many airlines today. Jet fuel is costly, and its price has been fluctuating. When the price of jet fuel rises, some airlines find that they are going to make loses and thus, they increase the prices of the services offered to customers. This increases the possibility of losing loyal customers. Singapore Airlines, for instance, has regarded fuel prices as one of its main challenges (Coza, 2014). British Airways and Jet Blue have also experienced difficulties in the management of fuel costs. This indicates that fuel prices affect both the governmental and privately-owned airlines. The issue fuel price becomes worse during times of recession, as experienced by airlines during the economic crisis that peaked in 2008 (Coza, 2014). Overall, the aviation industry has been growing, but the challenges being faced by firms in the industry are still many. Security issue is one of the most remarkable due to the acts of terrorists that are targeted on aircrafts and airports. Although safety issues have been addressed, there are still few safety challenges facing the industry. Overcapacity has been affecting both the airports and airlines. While airlines are compelled to catch up with the emerging technology, they have to deal with the challenges associated with the new technology. Just like other organizations, airlines are required to adhere to sustainability principles, yet the prices of jet fuel make it difficult to reduce their carbon footprint. Managing jet fuel costs and making profits at the same time is also a major challenge faced by airlines. Brenner, S. W. (2012). Cybercrime: Criminal threats from cyberspace. New Delhi: Pentagon Press.